. I noticed that my rabbits had a one green object by them while my brother's pen had 2 dark blue ones. I began to get kind of disappointed because I knew the judge gave blue objects to the pens that she really liked. Maybe the judge is just trying to surprise the audience, I thought to myself. She did make the statement- ("Just because I am old does not mean that I can not hear you") when someone in the audience was talking about how she marked the pens. It turned out once again that the bluer markings were the best. I wonder if the judge having two blue shirts on had anything to do with it. She did seem like she would enjoy creating puzzles for us. The order that the pens were placed on the judging table turned out to mean nothing this year. My pen was announced as receiving 12th place. 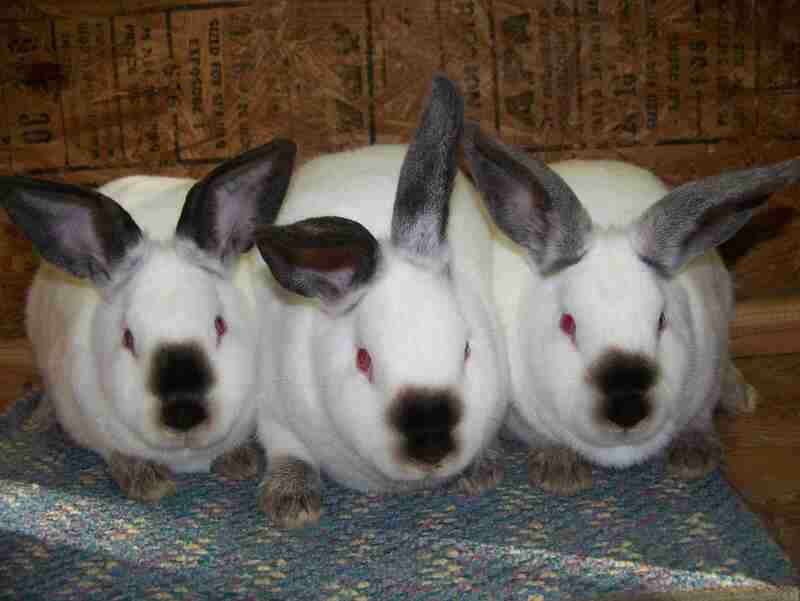 The judge commented that one of my rabbits just didn't seem to match the other two very well. My whole family was struck with awe as the judge kept taking out rabbits, leaving my brother's pen on the table! Tick, tick 8th place, 7th, 6th, 5th, 4th, 3rd, 2nd.. 1st place goes to Christian Webster!! I also want to thank the Shanks family. We got one of our best bucks from them which was used to breed the Grand Champion rabbits.